Our high quality, low cost solutions have caught the imagination of printing, design and sign companies nationwide. Now a machine that can laminate digital and litho prints, double and single sided for less than a £1000. The Easy laminator has been designed from the ground up to be a useful and productive addition to any print room. It can succesfully laminate most substrates up to 5mm thick! It has a dual spring hot and traction roller lever with 5 pressure positions.It can take gloss and matt films from 30 to 250 micron for all types of laminating requirements. The Easy laminator is the fastest small format laminator at 4.8m/min at full speed. This is acheived by a large diameter upper roller with polished chromed surface for optimal heat transfer to substrate and surface heat replenishment. Plus, both rollers are heated with a combined 1400W, the most powerful in its class, which enables amazing high production speed. 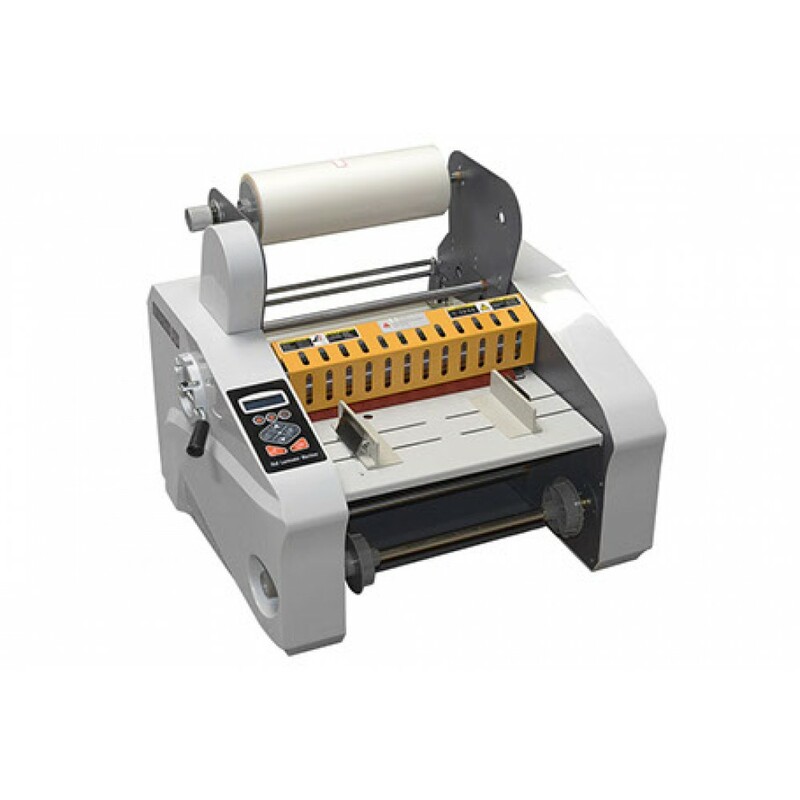 With features that surpass the competition the solidly built, the Easy Laminator also incorporates a digital speed and temp control and the lower roller comprises of soft silicone for excellent laminate sealing.